Unfortunately, electrical fires in homes account for approximately 67,000 fires and claim close to 500 lives in a given year, according to the U.S. Fire Administration (USFA). It is important to take a few minutes each year to inspect the condition of your home's electrical system, to best protect your home and family from electrical fires. Our dependence on electricity continues to increase each year; placing more demand on our home's electrical system. Safeguard your family to prevent the loss of life and property from home electrical fires by following the simple safety precautions below. Routinely check your electrical appliances and wiring, and look for signs of wear. Have a certified professional replace cords/wires that are frayed or cracked. Also have them replace other electrical tools that cause small electrical shocks, overheat, or give off smoke or sparks. Never overload wall sockets and electrical extension cords. If light switches are hot to the touch and lights flicker, immediately shut off and have them professionally replaced. Keep electrical appliances away from wet floors and counters. Pay special care to electrical appliances in the bathroom and kitchen, especially hair dryers near sinks and bathtubs. According to U.S. Fire Administration, most electrical fires result from problems with "fixed wiring," such as faulty electrical outlets and old wiring. Many avoidable electrical fires are a result of misused electric cords, such as overloading circuits, poor maintenance and running cords under rugs in high traffic areas. Use light bulbs that are the proper wattage for the fixture. Higher wattage bulbs can degrade the wires in and around the fixture. If an appliance has a three‐prong plug, use it only in a threeslot outlet. Never force it to fit into a different type outlet, for example a two‐slot outlet or extension cord. Make sure smoke alarms are installed and in good working order on every floor and outside sleeping areas. Unplug cords that are not in use. Children can get shocked by chewing or sucking on electrical and extension cords. Cover unused electrical outlets with safety plugs to prevent children from inserting fingers or objects into outlets. Parents can also install Tamper‐Resistant Outlets. This is a standard wall outlet with an internal mechanism built‐in to protect children from injuries. These are just a few things you can do to safeguard your home and family from electrical fires. 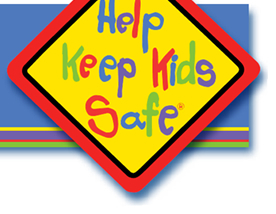 Please visit Montlick.com or HelpKeepKidsSafe.org and click on "Family Safety and Legal Tips," to see our latest safety videos and downloadable materials, and to register for Free Safety Alerts. Safeguard Your Home from Electrical Fires is presented by Georgia Accident Attorneys, Montlick & Associates. Atlanta, Georgia Injury Attorneys Montlick & Associates is committed to keeping you and your family safe. That's why Montlick & Associates, Attorneys at Law created the Electrical Safety Guide above. You can help prevent the loss of life and property from home electrical fires by being attentive and recognizing the warning signs. Montlick & Associates, Attorneys at Law encourages you to take a few minutes each year to inspect the condition of your home's electrical system, to best protect your home and family from electrical fires.